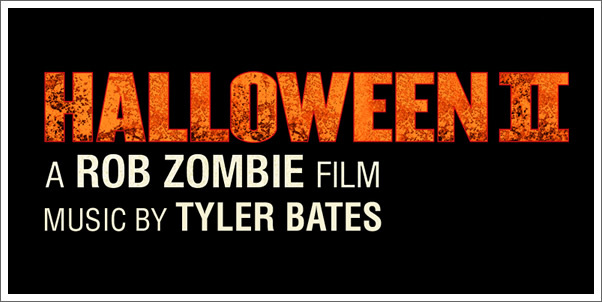 Composer Tyler Bates joins Rob Zombie once again in the re-imagining of John Carpenter's HALLOWEEN II. Following the success of Rob Zombie's HALLOWEEN, which premiered number one at the box office - breaking all Labor Day Weekend records, is the sequel, HALLOWEEN II, hitting theatres nationwide on August 28, 2009 from Dimension Films. HALLOWEEN II picks up where HALLOWEEN left off, and focuses on the struggles of Laurie Strode (played by Scout Taylor-Compton) and killer Michael Myers (played by Tyler Mane). The film also stars Malcolm McDowell, Sheri Moon Zombie, Brad Dourif, and Danielle Harris. Tyler Bates once again puts his creative stamp on this classic movie, sharply distinguishing it from its 1978 predecessor. Bates score takes HALLOWEEN to a new level of hellish terror, imbued with the gritty texture of Zombie's realistic depiction of the horrors spilled onscreen by Michael Myers. The Halloween II Score album is the inaugural release on Bates' new label imprint, Abattoir Recordings, digitally distributed August 25, 2009 by E1 Music. A physical CD release with previously unreleased music will follow with the DVD release of the film. E1 Music will release additional projects from Bates' Abattoir Recordings in 2010. Tyler Bates has created scores for films such as 300 (2007), The Watchmen (2009), Slither (2006), See No Evil (2005), The Devil's Rejects (2005), Dawn of the Dead (2004) and many more. Make sure to hear Bates¹ music in Showtime¹s hit series Californication, in its 3rd season this fall..